.....is this Friday! 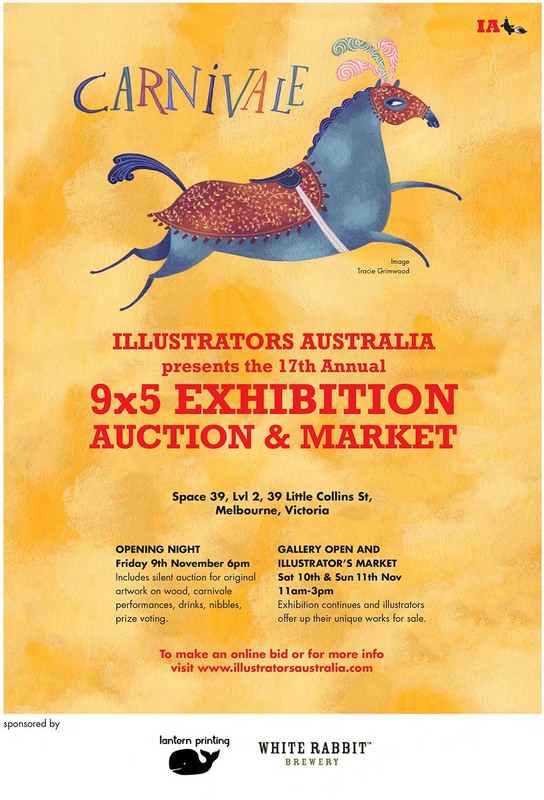 You can browse and bid for artworks here online. I'll be there at SPACE 39, Lvl 2, 39 Little Collins St, Melbourne, Friday night for the opening (there's even going to be carnival performances!) and also on Saturday for the Illustrators Market where I will have prints and cards for sale.